We admit the term Micro-needling does not conjure up visions of smooth and comfortable facial treatments. Relax, it’s not painful! And the results produce improvements to your skin like a smoother, more radiant texture, the reduction of fine lines, minimization of acne scars, and an improvement in your overall tone and color. It can work to reduce the prominence of scars caused by trauma and even stretch marks. These are just a few of the benefits of the non-invasive procedure called Epidermal Collagen Injection Therapy (ECIT), or Automated Micro-needling. This is an innovative 15 to 30-minute procedure which aids in the production of collagen and elastin and triggers the skin’s natural repair process — which automatically results in a thicker outer layer with a softer appearance to visible wrinkles. During the procedure the skin’s surface is prepared with a sterile saline solution, and using a pen like the Eclipse Micropen® Elite — controlled micro-injuries are deftly made to the skin’s surface to treat the area of concern. The sensation is described as sandpaper being used on the skin’s surface — with little to no discomfort. It can be performed on all areas of the body: the face, hands, abdomen, back, legs, or décolleté. You might feel some slight discomfort afterward, but downtime is minimal, sometimes as little as one day. 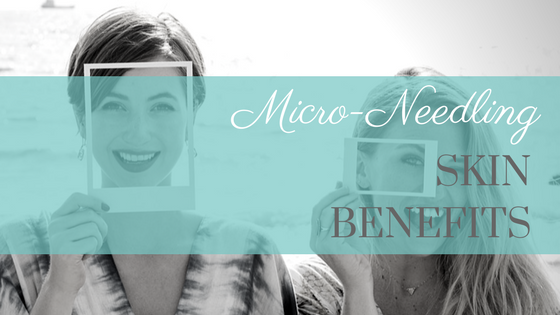 How does Micro-needling compare to other treatments? Micro-needling can be less costly than other procedures, is minimally invasive, and some patients see results right away. In addition, micro-channels are created allowing all of the nutrients from the rich serums, creams and topical gels you might use to more easily seep into the deeper layers of the skin. Generally there are several initial treatments needed followed up by an occasional maintenance treatment. Results will vary depending on the patient’s individual skin and anatomy. If you have questions about the procedure, rest assured that the medical doctors at Northshore Skin Care & Med Spa can answer any and all of them, as well as what to expect during and after the procedure, and how much, if any downtime is required. So call us, at 985-241-6618, to learn more about ECIT, and to decide if micro-needling is the right choice for your aesthetic skin needs. We will be happy to determine the products or services that are right for you.